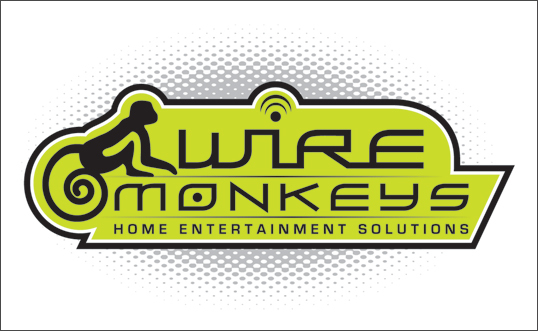 Project Details: These pieces were created for Wire Monkeys, a home theater installation company owned by home theater guru Erik Riggs. 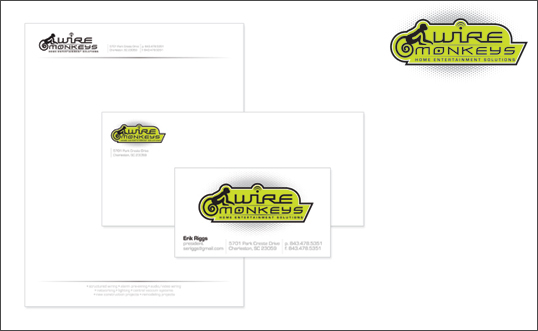 Erik wanted a vibrant and playful logo that said “technology”. 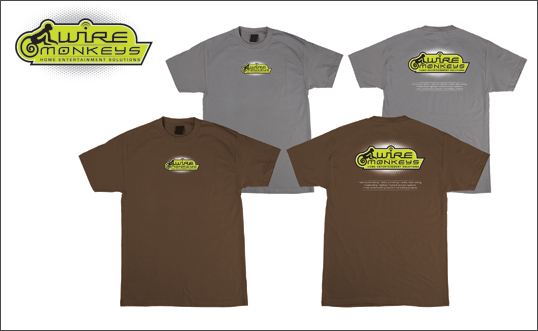 Coupled with deep browns and medium greys, the logo pops and gives Wire Monkeys a unique look and feel.